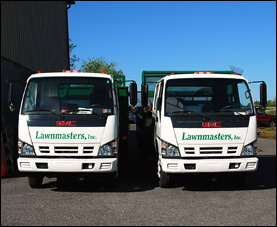 At Lawnmasters we are not just about lawns. We are a “full” service company providing the skills, education, staff and equipment to perform virtually any job related to residential or commercial lawn care, sweeping, snow removal, tree and shrub care, fertilizers, application services and more. After 18 years in business we understand what it takes to work across all environments and large diverse customer base are a testament to our success. We take pride in our work because we want to keep your business. Browse our list of services to learn more about what we have to offer.